This Food Diary post will be a "What I ate today" kind of post. 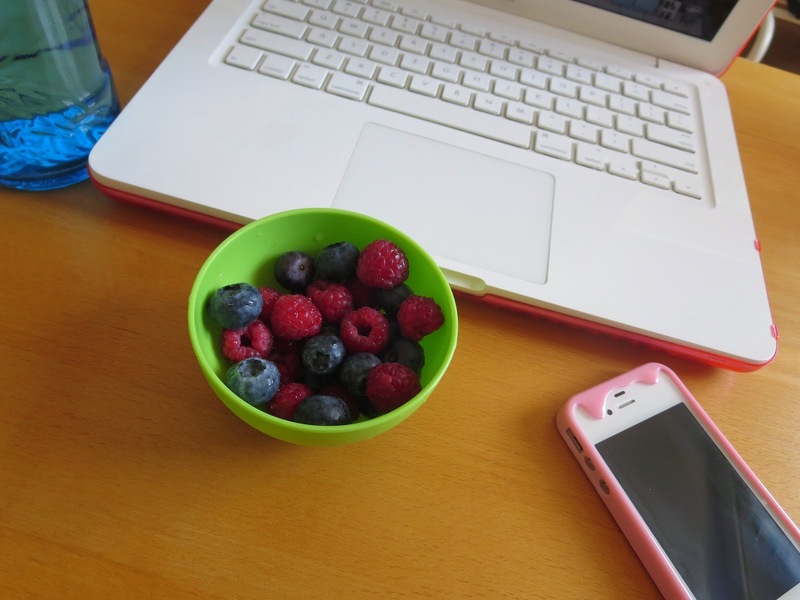 I started my day with some warm lemon water and for breakfast I had a bunch of blueberries and raspberries, followed by a big cup of green tea. Lunch consisted of homemade vegan red curry. I made it with mushrooms, carrots and spring onion, using whole grain rice noodles instead of plain rice. It was really basic, but fixed my craving for curry. 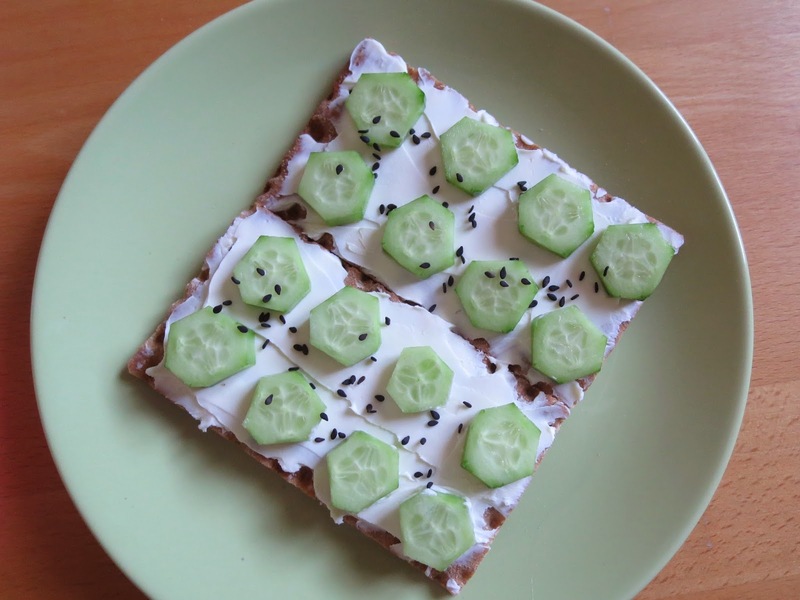 Rye crackers with creme fresh, cucumber and a sprinkle of black sesame seeds for dinner. As snack I had a sort of romanian pretzel made with rose wine and hemp seeds, accompanied by some rooibos tea. I'm not a nutritionist and don't claim it's normal or good to eat like this. However this is health-ish for me and I enjoy it.